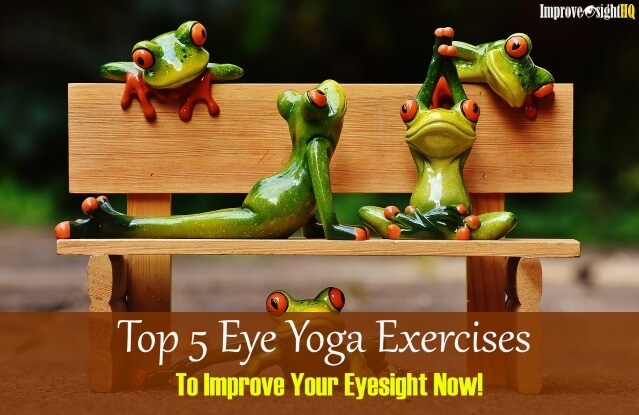 Top 5 Eye Yoga Exercises To Improve Your Eyesight Now! Eye yoga exercises had existed for centuries and helped many people regain back their natural eyesight. They are easy to do and can be done anywhere and anytime. 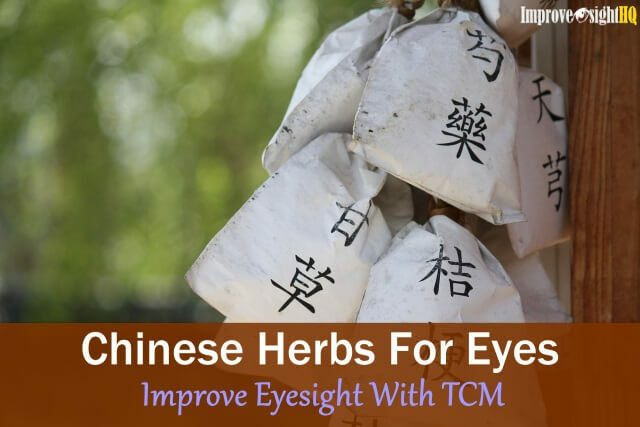 It helps us to use our eyes to their fullest capability which is not allowed in our current way of life. In the older days, our ancestors get to see a horizon of blue sky and unlimited peripheral vision. Today, we are towered by high rise buildings and offices and we live in small spaces further limiting our chances to use our distance vision. We spent most of our time doing close up work and staring at the 15 inch computer which limits our eye movement and creates a lot of near-point stress. These yoga for eye exercises aim to return our eyes to its natural state. Eye exercises also let you learn how to maintain optimal eye health such as avoiding eye strain and excessive near-point stress; and keeping the eye moist. These are probably the biggest factor in causing bad eyesight. This article shares with you 5 popular eye yoga exercises which you can do now. 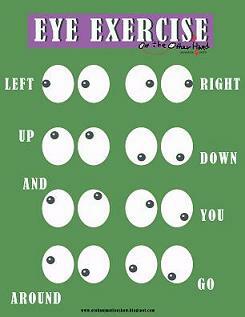 A typical set of eye exercises routine maybe something like this. It will give you a feel of how an eye exercise program will be like. I will recommend that you find a comfortable sitting position (either a chair with good padding or cross legged on a thick yoga mat) and do these exercises in a room without distraction. Try not to use corrective lens during all these exercises. Warm up is important for all sort of exercises. 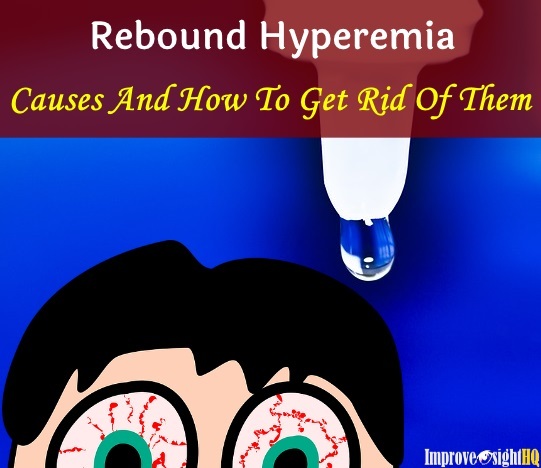 By increasing circulation to the eyes, it helps reduce your risk of the aches and pains that may come with exercise. Before we start the eye exercises, we have to stretch our eye extraocular muscles first. Instructions for warm up are listed below. Keep your head stationary throughout the exercise. Begin with looking to the extreme top-left corner, bottom-right, top-right and end with bottom-left for one whole cycle. This eye yoga exercise aims to improve your eyes flexibility. You can either do it with eyes open or close. In the beginning, get a friend to check whether you are doing it properly will help a lot. Rotate your eyes in clockwise direction. Take it slow, make sure you reach all the corners. You can visualize a flying ball circling around your face. Accommodation (the process of eyes changing focus) is probably the most often performed function of the eyes. When people depend on glasses, their eyes become lazy which eventually leads to weakening in accommodation ability and their eye muscles. This eye yoga exercise rectifies that. Hold something with small letters (for example a book or newspaper) at your reading distance. Repeat steps 4 to 6. You can improvise this exercise everywhere you go. Instead of a book, you can use your wristwatch and a distance clock (trace the numbers). Your thumb and a distance car. It is all up to your creativity. Do it as often as possible. This yoga for eye exercise is designed to improve your ability to accommodate and the acuity of your distance vision. It is also a relaxation technique. To do this eye exercise, you will need a blank wall, a comfortable chair and some large letters (you can cut them from newspaper headline or cardboard container). Stick the large letters to the wall and gradually move back until the letters start to blur. Position the chair at that point. Take a deep breath and hold it. Clench your fists, and tighten the muscles in your whole body - eyes, face, head, chest, neck, arms, leg and stomach. Keep your muscles tightened for about five seconds. At the end of the five seconds, simultaneously exhale quickly through your mouth, release all the tension of your body and snap your eyes wide open. Look at the letters and they should become clear for a few seconds. Breath slowly and maintain a relaxed glaze at the letters (blink is necessary). Look at it for a second or two till it becomes blur again. Repeat steps 3 to 6 for two minutes. You will be surprised how far you are able to go if you do this everyday. Now we need to relax the muscles that have been worked. Palming is a great cool down (relaxation) exercise. According to Robert Abel, author of The Eye Care Revolution, our photoreceptors break down and are reconstructed every minute. Personally I like to do palming frequently throughout the day so that my eyes can get adequate rest. 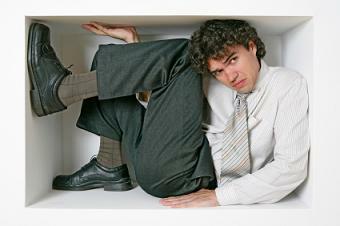 Remember to find a chair and a table so that you can place your arms on. So try out these 5 eye yoga exercises and see the results for yourself. 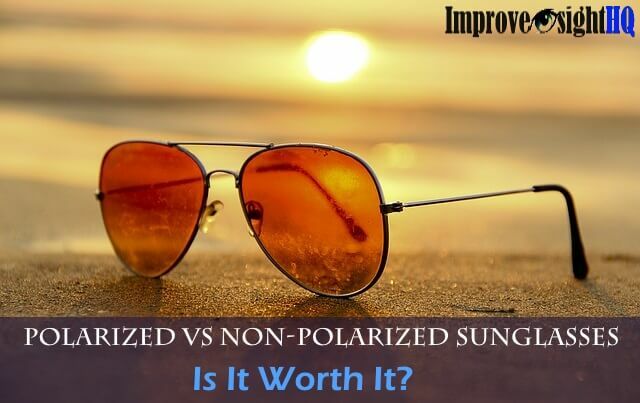 They are fun and can be done anytime of the day to improve your eyesight naturally. 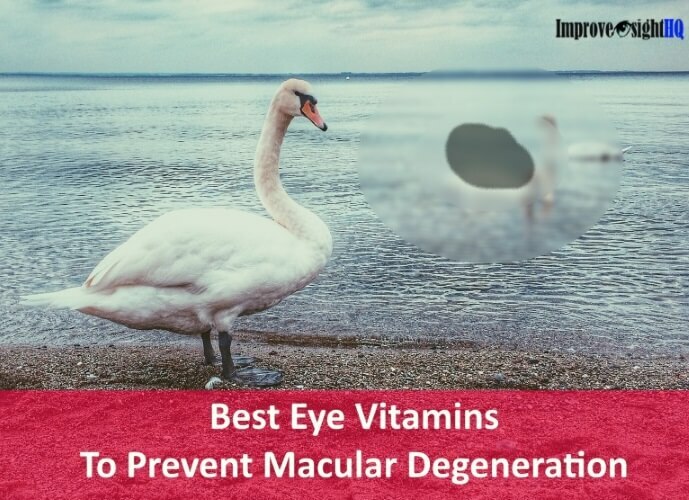 For best result, try doing them when your eyes are still fresh. I do mine the moment I wake up everyday to avoid not doing them due to cumbersome activities that may pile up as the day goes by. For maximum relaxation, consider massaging some acupressure points for 5 mins daily.They are very effective in relieving the built up stress caused by prolonged hours of close up work. Know Any Other Great Eye Yoga Exercises? Which works for you? Are you doing any other eye yoga exercises that has been beneficial to you? Share it with us! We will love to hear from you.